OK, so the A-wing size is not only the main reason I wanted to do size analyses but also the one I dreaded doing. It's perhaps the most difficult ship to pin down in terms of length. And it doesn't help that we have a Rebels version, an original trilogy version, and a Resistance version. Now, the reason why we have size issues with the A-wing is because of the pilot. 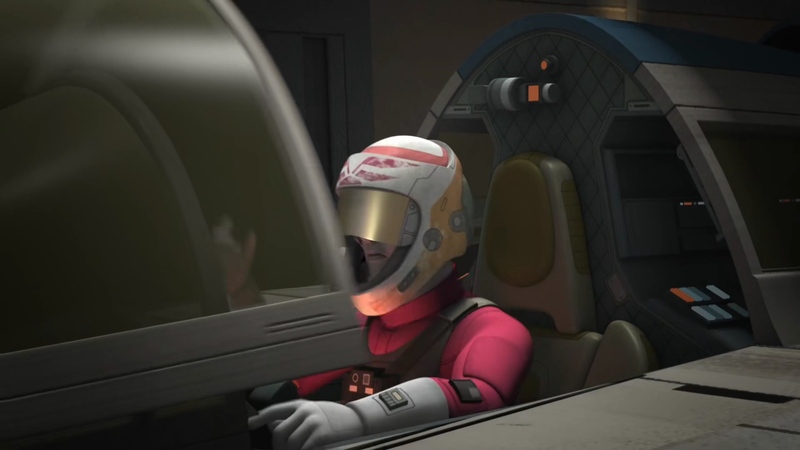 Some versions show a spacious cockpit where the pilot appears small, while others show a cramped cockpit with a large pilot. Because people are generally the same height, we have an issue. Moreover, every single source lists the A-wing size as 9.6 meters long. To establish a baseline, I looked at the canopy (measured from the grey point to where it hits the red band behind the pilot). IF the canopy is as long as the pilot, then the ship would be 6.3 to 7 meters at most. Yet, there's one more issue: many models have disproportionately smaller canopies. So, if I make the reference size too small, then those models don't look right at all. Therefore, I'm using 7 meters for the A-wing size. However, using 9.6 meters doesn't really mess up anything until you put a figure next to it. 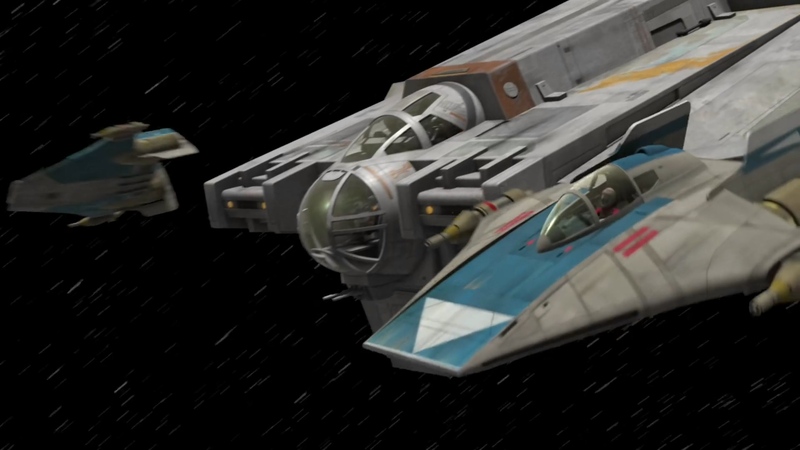 Rebels introduced an A-wing model somewhat different than the red beast we saw at Endor. This version features larger canons and different engines/fins but also lacks the notch in the nose. Stills from the show suggest it is quite large. Pilots look tiny with plenty of room in the cockpit to move around. 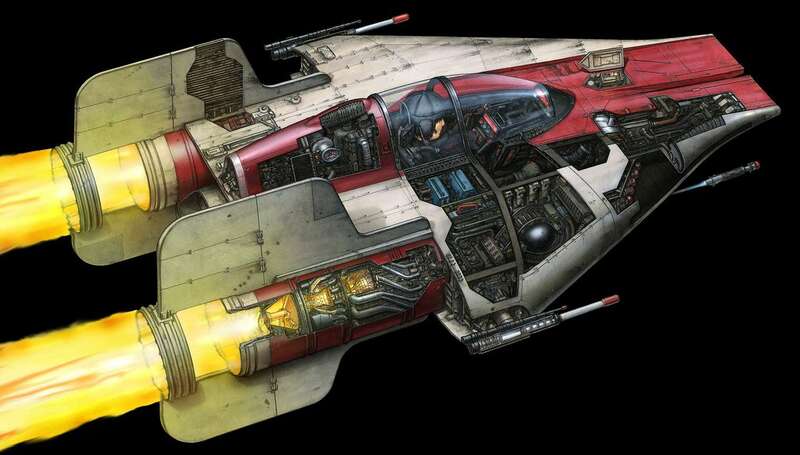 It's possible that the Rebels team used the re-cannonized R-22 Spearhead as the inspiration, which was a prototype A-wing. 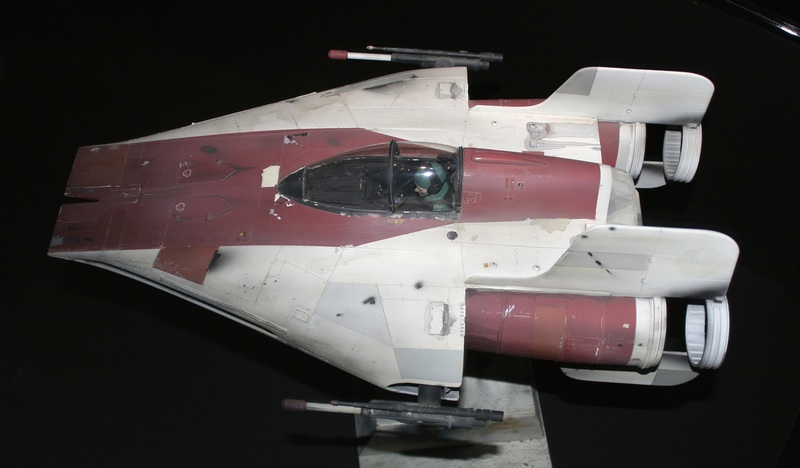 There was also a two-seat trainer R-22, similar to the A-wing trainer Kanan and Ezra used. 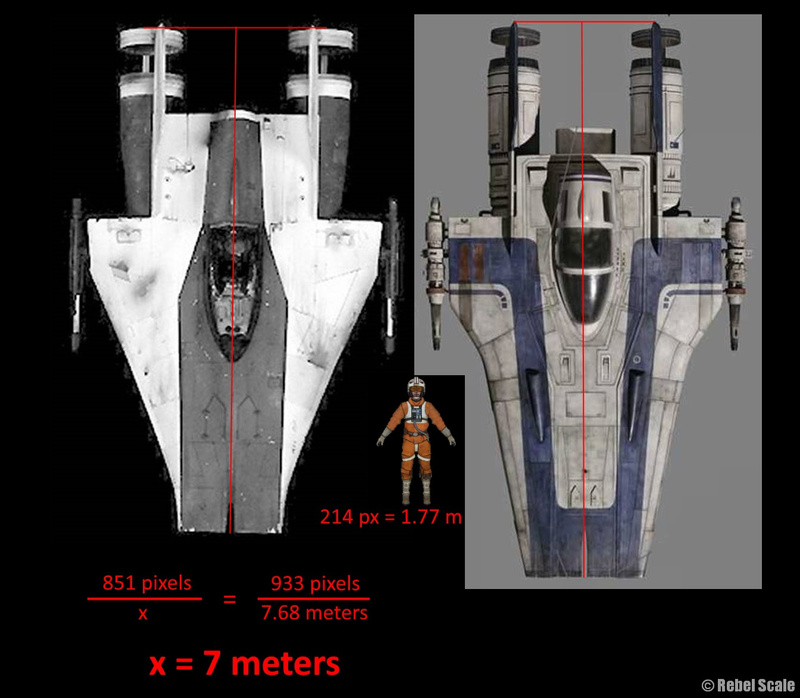 For these reasons, I tend to use 9.6 meters as the reference for the Rebels A-wing version. 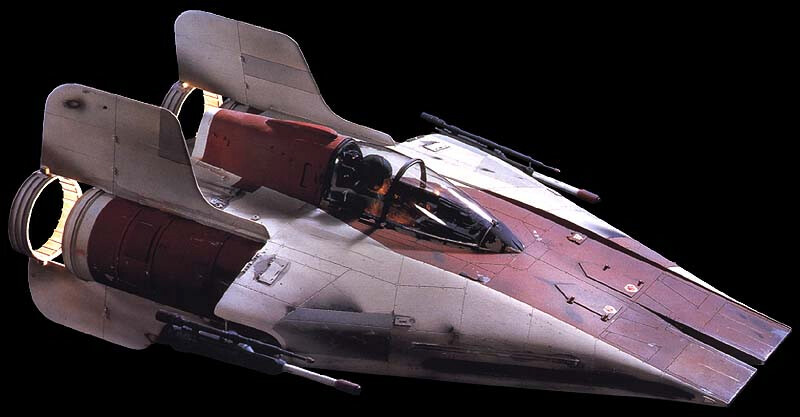 At first glance, the Resistance A-wing appears larger, sporting a longer nose jutting out much further from the cockpit than in the original RZ-1. However, the official length is 7.68 meters, significantly shorter than the original's "canon" length. Yet, look at the pictures to the right, and you might notice two major things. The pilot size looks similar to the in-cockpit shots from RotJ, almost bumping her head against the canopy. From this, I would argue that the RZ-2 is roughly the same shape as the RZ-1, but with a longer nose and engines. If you put them next to each other (see pic) sizing the canopies together as best as you can, then the original A-wing appears to be roughly 7 meters. For those curious about the comparison pic, the RZ-1 is measured from the engine rings, whereas the RZ-2 is measured from the fins (which stick out a little). You also see an average-sizes 5'10" pilot next to them. Good article. I agree with your analysis, as since RotJ I’ve considered the A-wing to be a small craft. Plus, for me the principle source with sci-fi tech is screen evidence, which trumps secondary sources such as cross-sections and websites. And the screen evidence in RotJ presents a small craft at 7 metres. Thanks man. I know it’s a lot of over-analyzing and not a big deal to most, but I enjoy researching these things, and finding the “evidence” like you said. Plus it’s very helpful for anyone making dioramas. Best! Gotta agree with you there, I find this kind of thing fascinating even if it can be a tad frustrating sometimes. Picked up a couple of the Revell RZ-2 snap-kits to convert into RZ-1s as based on this the scale should come out just about right relative to Legion infantry. Awesome and thanks! I haven’t bought the RZ-2 yet, but they look nice. I know one guy on Shapeways created some replacement parts including more-detailed cannons. Best! Oooh, interesting. Not sure if it’d be worth Shapeways prices for models that will basically be “backdrop” terrain on a hangar/base tabletop, but I’ll take a look. This Revell kit is actually a perfect example of how wonko the scales are – Legion models are ~37mm for the Rebels, so assuming a scale human at 1.8m, that puts a “correct” RZ-1 somewhere around 144mm long by 84mm “wingspan”(sans cannons) based on the 7m view, which at first glance is totally incompatible with the ~220mm long RZ-2 model. *But*, the cockpits actually come close to matching up if you shift the RZ-2’s pilot forward entirely into the front section like the A-Wing studio model you reference above, and after that you just have to bump the nose and engines in a bit relative to the cockpit. And that’s despite the RZ-2 only being what 2/3 of a metre longer in-fiction…*headsplosion* So Revell state 1:44, but really it must be closer to 1:46 or even 1:47 given how close it is to a “Legion Scale”(ie, somewhere vaguely around 1:48) A-Wing cockpit. If it wasn’t for all the curved hull geometries it’d be easier to build entirely from scratch, hah. Completely agree. I’ve known that the “official” 9.6 meter length was a joke since I first saw it. Same thing with the original 8000 meter supposed Executor length and the completely delusional 9.2 meter length claim for Vader’s TIE (now somehow ballooned out to 11 meters)!?! IMO The ILM models with pilot figures should always be the definitive visual evidence as to ship size. Thanks man. Yeah, some of the official sizes are crazy. Even with figures, it can get really muddy to determine a proper size. Best I can do is grab screenshots and share my crazy ramblings. Cheers! Great info! I consider this evidence enough that the RotJ RZ-1 is 7m, the RZ-2 is 7.68m, and the unmodified RZ-1 is 8-10m. The ‘canon’ 9.6m length in the sources has always been ridiculous. Another piece of evidence that the 9.6m official length is off, the RZ-2 is described as “standardizing years of field modifications and making the chassis slimmer and longer to yield even more speed.”. Yet that makes no sense if the RZ-1 is 9.6m and the RZ-2 is 7.68m. It only makes sense with your dimensions, with the RZ-2 being .68m longer than the RZ-1. The sources say that the rebels stripped down the stock models in order to make the RZ-1 faster than the TIE Interceptor, stripping off armor and shields. I could see the unmodified RZ-1’s extra armor adding at least a meter or two to the ship’s overall length (also accounting for the ships overall bulkier and more angular shape). And since the goal was to reduce mass to increase speed, you can see several other places where they obviously later ‘skeletonized’ several components, removing any excess material while leaving only the parts critical to functioning. We can see that they skeletonized the laser cannons, removing the outer casing/armor. They also reduced the engine fins and even skeletonized that round stabilizer thing at the back of the engines. In line with that, it’s entirely possible that they shrunk the cockpit in order to shave that much more mass off. The rebellion would absolutely be willing to sacrifice some pilot comfort for increased speed and therefor survivability. It’s not canon, but it’s as good an explanation as any as to why the Rebels RZ-1 appears to be larger and roomier. Thanks for the feedback. The “standardizing years of field modifications and making the chassis slimmer and longer to yield even more speed” is very interesting and really good evidence. I must have missed that part, but thank you for sharing that. Yeah, I’m not sure why the Rebels version is larger unless they were going by the canon 9.6 meter length. But you are probably right in how they stripped it. Not sure if those modifications would strip it to 7 meters, but I suppose it’s possible. It’s really neat to think about. All the best, man. Cheers! Thank you. 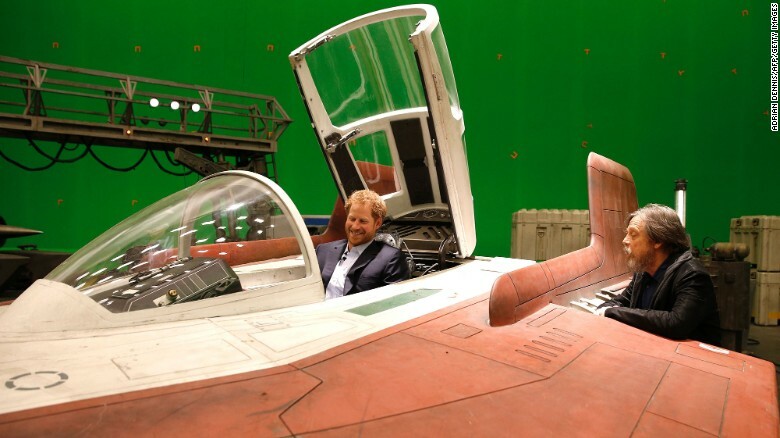 I could maybe see 6m based on the actors inside the set cockpits. I like 7m personally since it matches the RZ-2 version the best. I hate to say it, but if you use the 9.6m measurement for the A-Wing, both the fantasy flight and bandai models become their standard scales (1/72 and 1/144 for bandai and 1/270 for FF). Well, true they are close to 1/72, 1/144, and 1/270 (not quite, but closer). However, that measurement originally came from West End Games, which has been off on nearly everything they created sizes for. Most of these have been fixed, but they never updated the A-wing. Interestingly, in the new canon, the RZ-2 A-wing is listed as larger than the old one, which doesn’t work with 9.6 meters. For a true 1/72 A-wing, Fantastic Plastic offers a great resin kit of one.